Facebook Live and Youtube Live are both valuable tools to reach large audiences with your live stream. While we highly suggest streaming to both platforms simultaneously, we also wanted to take a look at the features of each in a side by side comparison. Our experience live streaming has been nothing but positive yet the platforms are quite different. 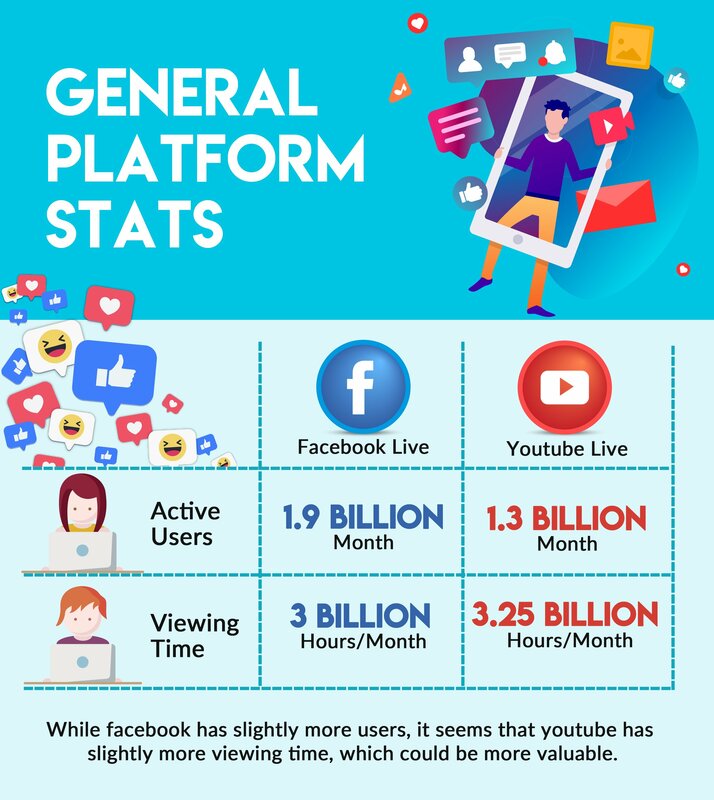 In this visual blog, we will share the key differences in each platform and encourage our audience to use both services effectively. Hello AV & Broadcast Professionals! One of the best companies in the video conferencing and live streaming / broadcast business is Magewell. If you haven't heard of them, today at 2PM. PTZOptics is hosting a live interview on YouTube. Magewell has become the goto source for frame grabbers, capture cards and the ever popular HDMI to USB devices for DIY video projects. I recently go the oppurtunity to ask Kate Koch what the top 3 Magewell products are and hand down she said the HDMI to USB 3.0 frame grabbers are selling like crazy. Personally, I think it's because of the high demand from cloud based video conferencing providers such as GoToMeeting, WebEX and Zoom who need a way to bring HDMI sources into their software based / soft codec web conferencing systems. But Kate explained that there are many other reasons why this product is becoming an industry standard. Check out the video below. Learn how live broadcast like QVC with YouTube's new Live Streaming platform! Ever wonder how the major television networks such as QVC and HSN create their infomercials? They have taken the ability to sell over video and turned it into an art. Here at PTZOptics we decided to break down the magic and create a free download kit for our customers to learn exactly how they can use the formula with their own products and services. YouTube adds new multiple camera switching feature! YouTube continues to change the way the world is thinking about on-demand and live video content. Over 2 million people are subscribed to YouTube's "Live Channel" with over 200,000 plus new users subscribing every month! Not bad for a community providing free content! Plus the channel was only started in Jan 2015! Hello AV & IT Professioansl! 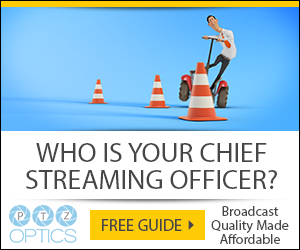 Who is your Chief Streaming Officer? Hello AV, Broadcast and IT Professionals! Understanding of Communications, Video Production and/or Graphic Design. Build and maintain live streaming video content creation studio. Build and maintain live streaming plan/budget to encompass: equipment, software, CDN (content delivery network ) and other necessary items. Upcoming Webinar and Free Jump Start Kit! How 7 Major Brands are using Live Streaming Technology to grow their businesses! Hello Pro AV, IT and Technology Managers! 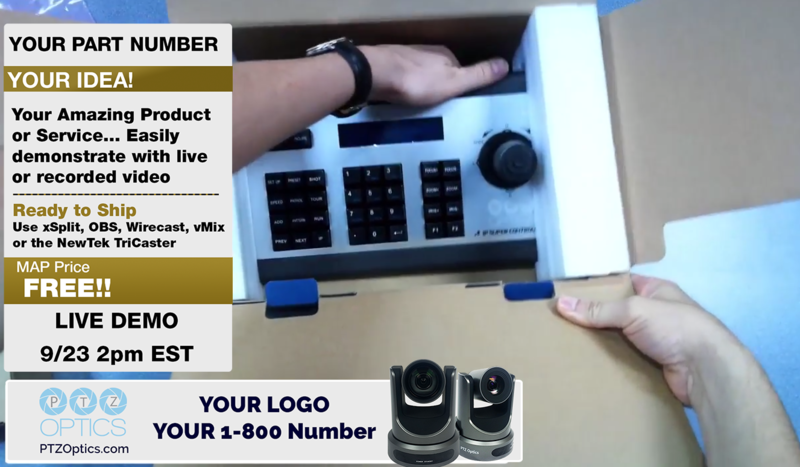 Las Vegas, NV - PTZOptics announced today they will be demonstrating a new YouTube Live technology allowing user to select between multiple live streaming cameras at the 2016 Infocomm technology show. 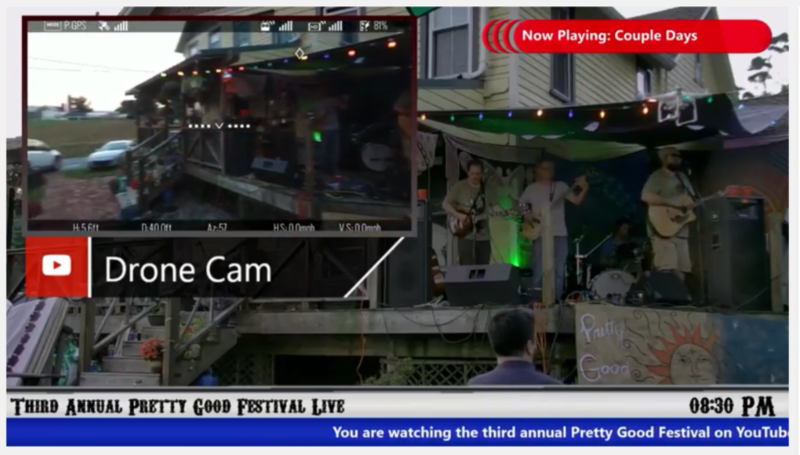 The new YouTube Live feature allows broadcasters to send multiple RTMP streams to YouTube allowing live viewers multiple selectable camera views during the live stream from anywhere in the world. PTZOptics will be demonstrating their new second generation camera line capable of 1080p 60fps video via outputs such as USB 3.0, HDMI, HD-SDI and h.264/h.265 IP streaming. Live streaming is an incredibly powerful technology businesses are using to connect with prospects and customers around the world. Use cases range from event promotion, product launches, customer support and beyond. While today's technology gets easier and easier to use there is a major hurdle in front of businesses looking to adopt this technology.